Black pepper is used as a flavoring omelets, pasta, or stir-fry for adding flavor a dish. But you know the actual efficacy of herbs behind this one? Unique spicy flavor of black pepper to give effect to the dish that is not the same as the spicy chili. In certain places, people even use black pepper powder mixed into the black coffee aroma and taste of coffee in order to be different but still delicious. 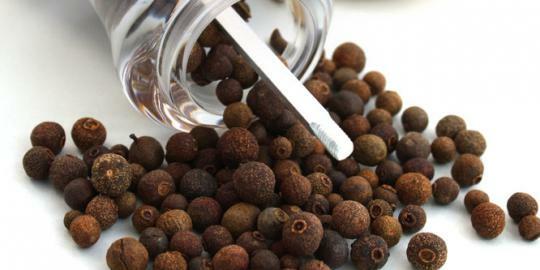 Black pepper comes from the pepper tree that can grow in tropical climates. Actually propagate plants and has white flowers with tiny seeds called peppercorn. Set of peppercorn was then called the black pepper seeds. From the health side, recent studies have shown that black pepper is good for the digestive tract. More than just herbs, black pepper potent stimulating digestive secretions and improve performance. Because taste black pepper triggers the production of hydrochloric acid in the stomach. Hydrochloric acid is then break down protein and improve the digestive process. Tarakhir, black pepper is also effective to lose weight. So, do not hesitate to add the black pepper in your cooking to taste different taste sensation and usefulness for your body.